My Instagram page was recently followed by someone who mentioned visiting this amazing vegetarian buffet in Mexico and it brought me back to wanting to create dishes that could be compiled using the “buffet-style” concept. This Roasted Vegetable Salad is an example of an earlier plate I put together. I’ll be creating more and more side dishes and post photos to show you my vegan plates. You can also tag me on Instagram (@theveglife1) and show me your vegan plates! 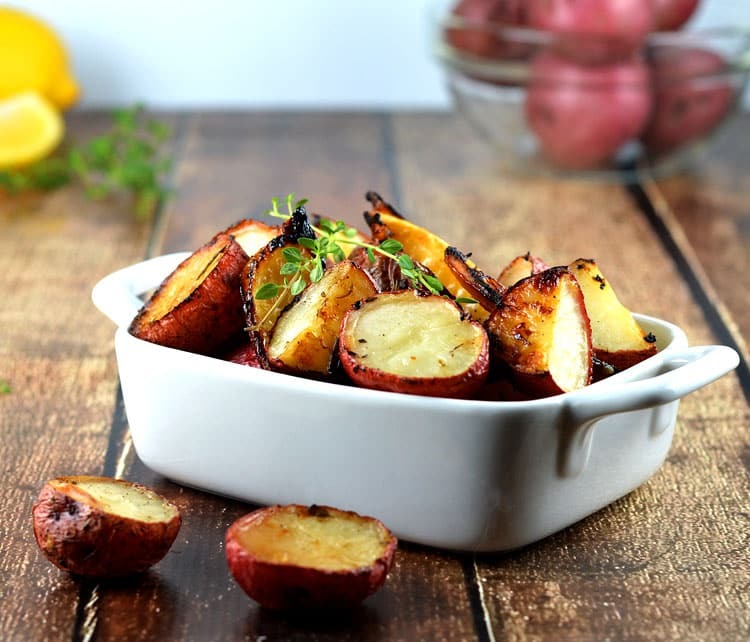 I love this simple, yet delicious side of Roasted Potatoes with Lemon, Rosemary & Thyme. 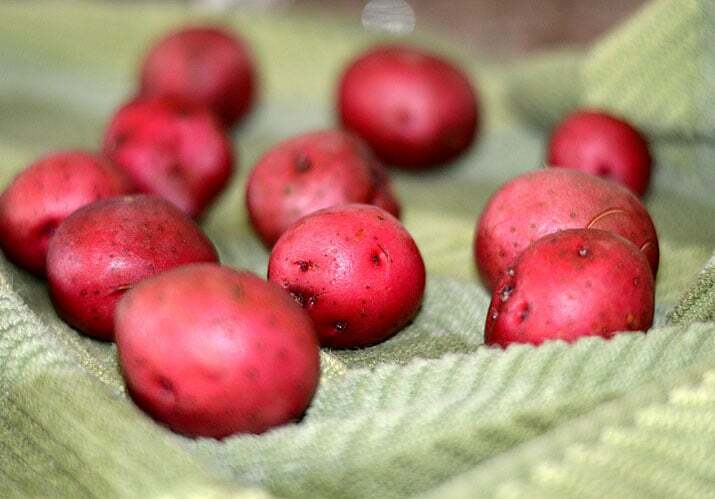 First, rinse and scrub the potatoes under running water and towel dry. 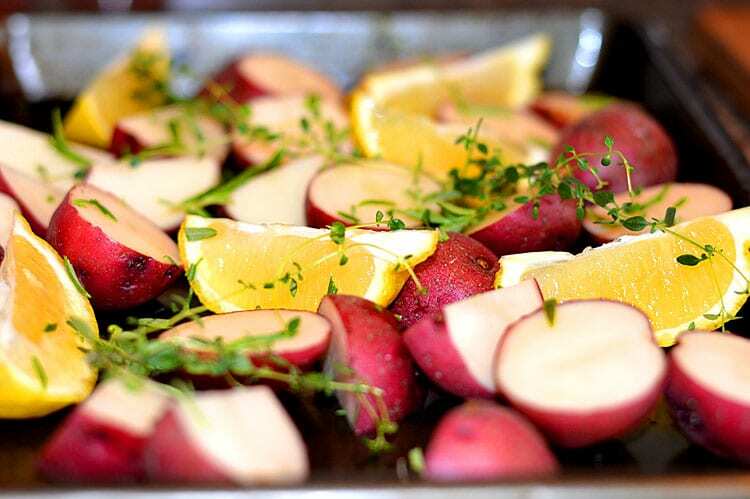 I used red new potatoes, but you could use any small variety…including fingerlings. Quarter the larger ones, halve the rest. I will be the first to admit that I do NOT have a green thumb. However, I have managed to keep a small thyme plant indoors. I also have a small rosemary tree potted outdoors. I hope to continue with these herb plants because it saves you so much money. You can just snip off as much as you need when you need it. 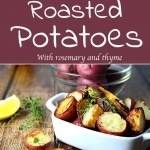 I tossed the potatoes with oil, lemon wedges, rosemary, thyme, salt and pepper. 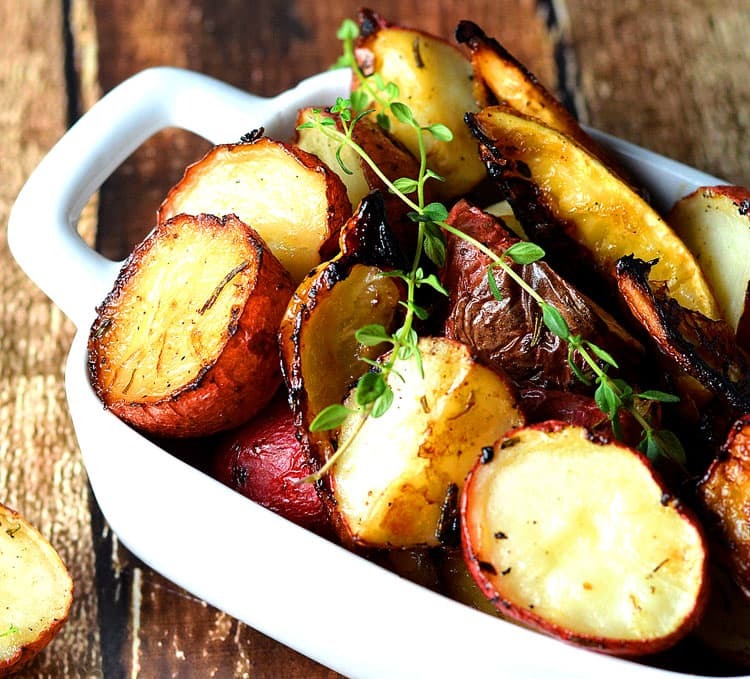 Roast at 350 degrees until the potatoes are fork tender. They are so flavorful with the lemon and herbs. Garnish with a few thyme leaves and a drizzle of olive oil and there you have it! An amazingly simple side. 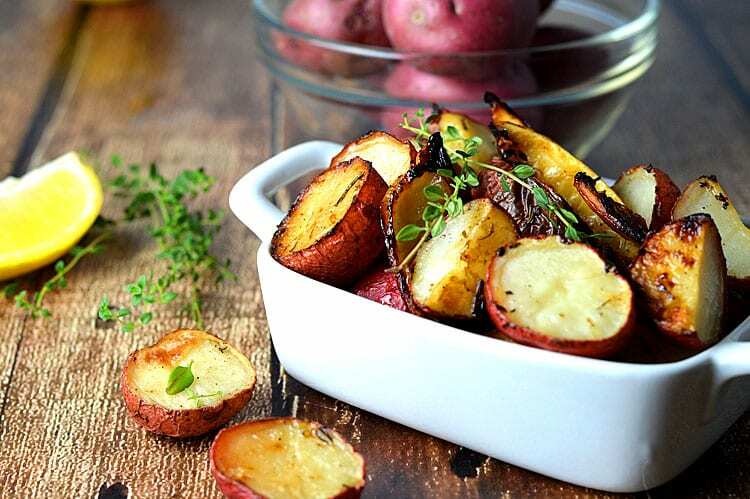 If your potatoes are small, they don't need to be par-boiled before roasting. Halve the smaller ones and quarter the larger ones. Slice a lemon into wedges. 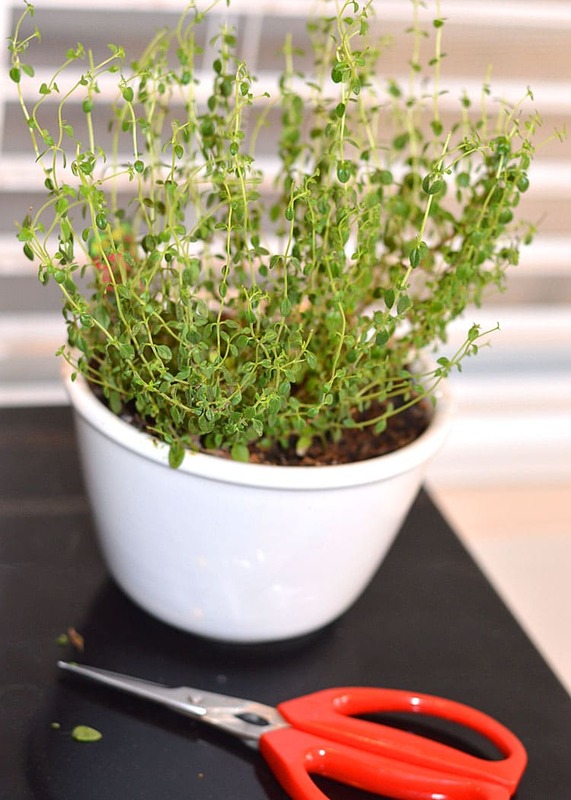 Remove the leaves from two sprigs of thyme. Strip the leaves from one sprig of rosemary and chop. Toss everything together with the olive oil and season with salt and pepper. Roast at 350 degrees until fork tender and crisp on the edges. Serve with a drizzle of olive oil and garnish with fresh herbs.